I’ve been hiding. I don’t mean this in a “It’s summer. I’ve been spending time with the kids and enjoying life, so I haven’t been posting as often” type of way. That’s very true too, but when I say I’ve been hiding I mean it in a much more emotional, poor self esteem, not loving the skin I’m in, kind of way. My self esteem, weight and shyness is something that I’ve suffered from my entire life. You can read more about my struggle in my post called I Was 10 Years Old When I Started To Hate My Body. Boy do I want to change that. Especially as the mom of an almost 9 year old girl. It’s something that I struggle with every single day and just when I think that things are changing and getting better, that voice of self doubt creeps right back in. It’s true BUT it’s now what I should have said to my daughter AND I wish it wasn’t the way I felt about myself. I wish that I let people take photos of me and would be happy with the way I look in them. I wish that I’d be happy with a photo other than a selfie where you could see more of me then just my shoulders up and where my face isn’t posed “just so”. I wish that I wasn’t hiding. Tears immediately filled my eyes, I made my way to the opposite side of the car where she was sitting, opened her door, wrapped my arms around her and the two of us sobbed for a good 5 minutes, clinging to each other. These were big, ugly, choking sobs. The kind of crying you do when you lose someone or something. 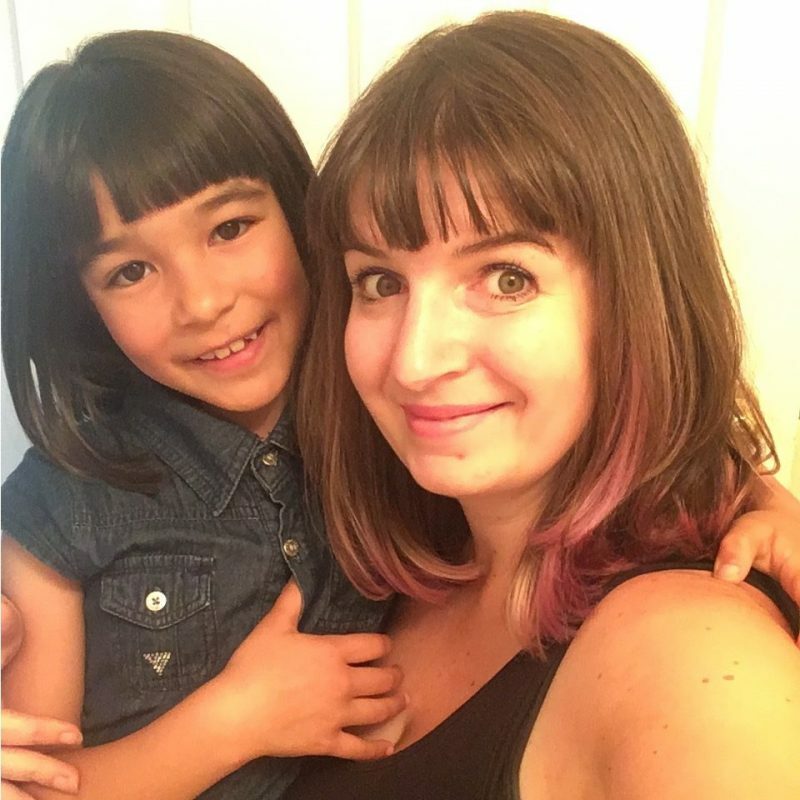 I cried that way because I felt like I had killed my daughter’s innocence, I never, ever want her to see herself as anything less than perfection, but I’ve never been able to see myself in the same way. I think that all women are beautiful, no matter their shape or size. So why can’t I see that in myself? I know that I’m not the only woman feeling this way, which prompted me to share this with you all. That day, made me do a lot of internal evaluation and it made me realize that I’ve been hiding in more ways than the clothes that I have been covering my body with. I’ve also been hiding in my business. 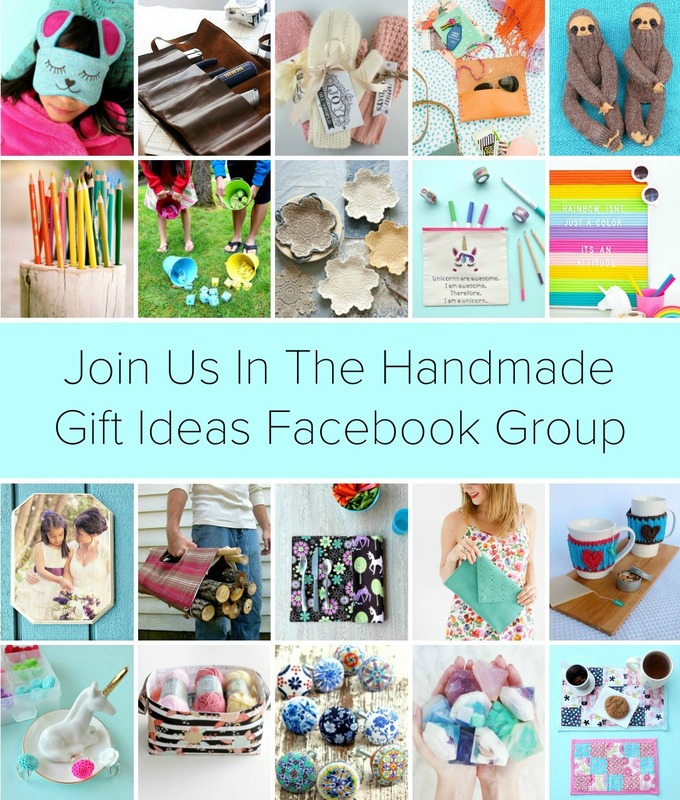 When I think about the bloggers who I love and admire, I think about people like Mandy from Sugar Bee Crafts, Marissa from Rae Gun Ramblings and Joy Cho from Oh Joy. These fabulous ladies all have lots of things in common, but what I admire the most is that they are talented, creative, entrepreneurs WHO PUT THEMSELVES OUT THERE! That statement deserves both caps and bold! Yes you see their beautiful projects that they make, but you also see them– Their fun and quirky personalities, their families, their flaws! It’s what makes you love them, admire them, want to support them… heck want to be them! 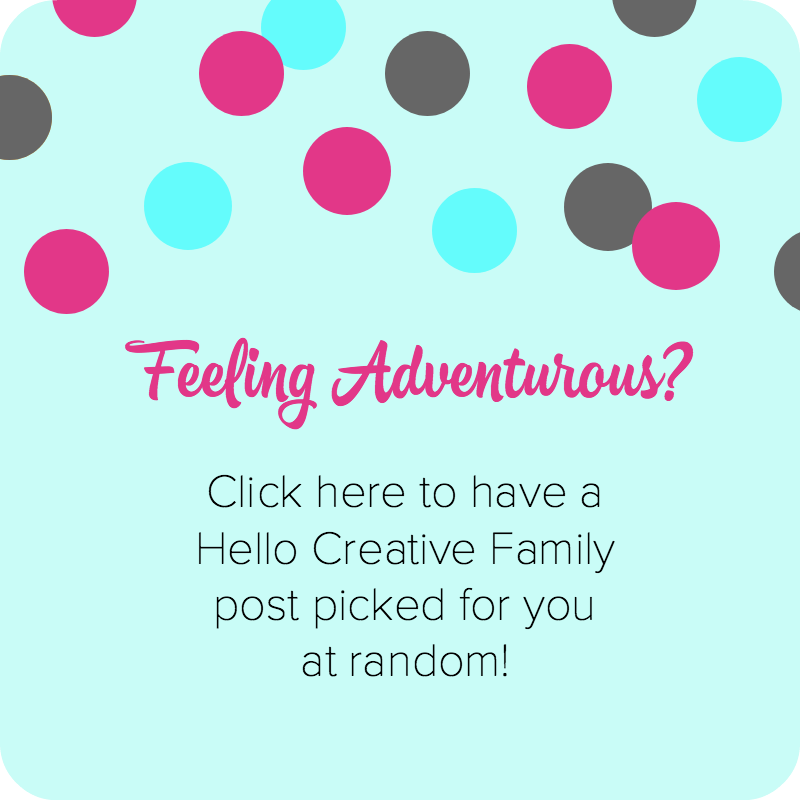 I’ve decided to do something similar here on Hello Creative Family. 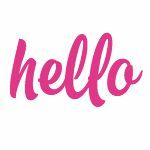 The first week of each month, I’ll do a recap of the past month. Share pictures of me and my family, and give an inside glimpse into our lives. 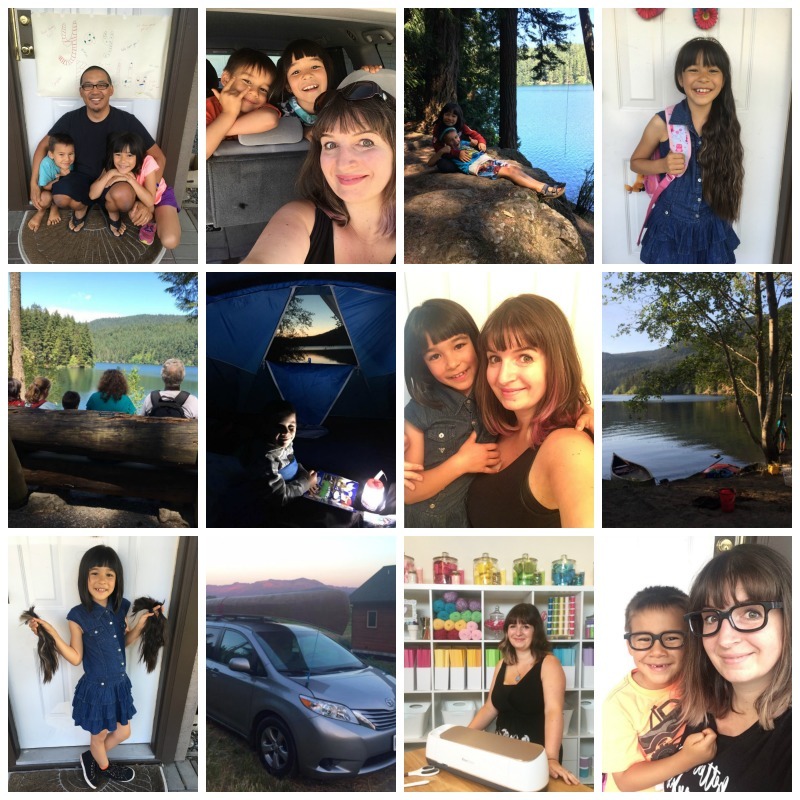 Even if no one is going to read these posts besides my mom ;) it’s a good way for me to document the past month. If you like this idea, I’d love for you to comment letting me know what you think, what you would name the series, what categories I should add, etc. For now, here is my July recap. 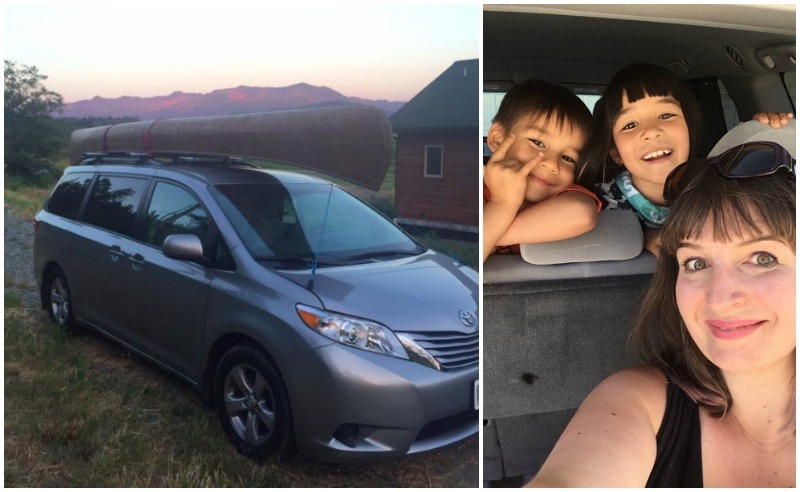 July Highlight: Our week long camping trip with family and friends for my 38th birthday in one of the most beautiful campgrounds in the world! I hadn’t camped here since I was a child and it was so good to go back! We are already planning our 2018 trip for my 39th birthday! 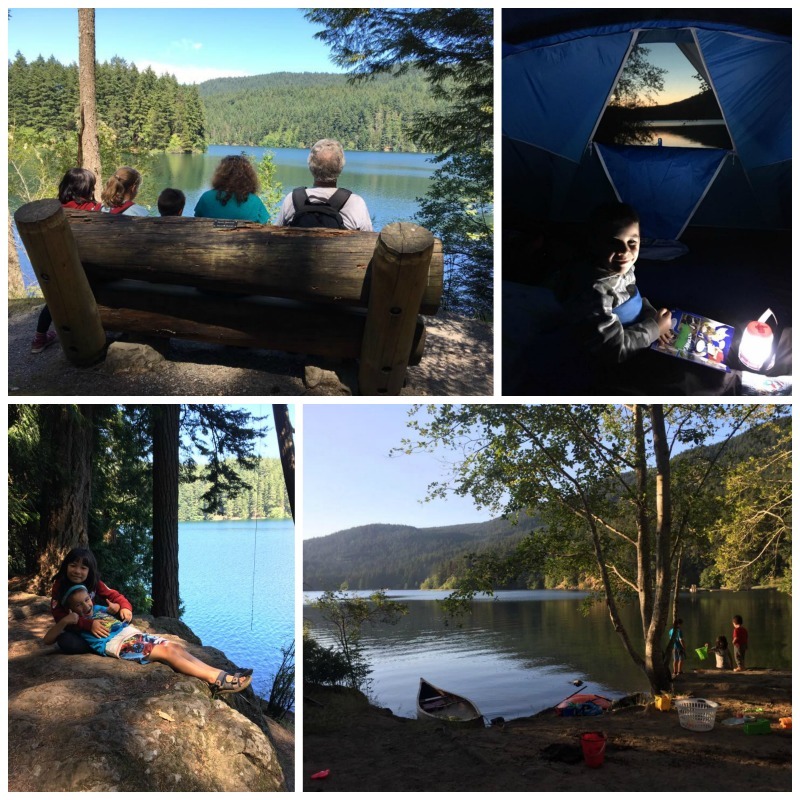 We camped again this weekend, just The Hubs, the kids and I. I commented to him that I love camping so much because it allows us to be so present with the kids, each other and life itself. No cell phones, no distractions of the things that need to get done around the house, just family, friends, nature and together time! Favorite Turtle Memory: One night The Hubs was working late and Bean was spending the night at a friend’s house. Turtle asked me if the two of us could go on a date. I took him to see a movie and before we left he said “I need to get my wallet Mommy!” When I asked him why he said “Because you’re my date! I have to pay for your ticket and buy you popcorn!” We may have gone home with the 3d glasses so that we had a memento of our date night. Favorite Bean Memory: My sweet girl has been growing out her hair to donate to Locks of Love! She decided to cut it all off to donate before we went camping. 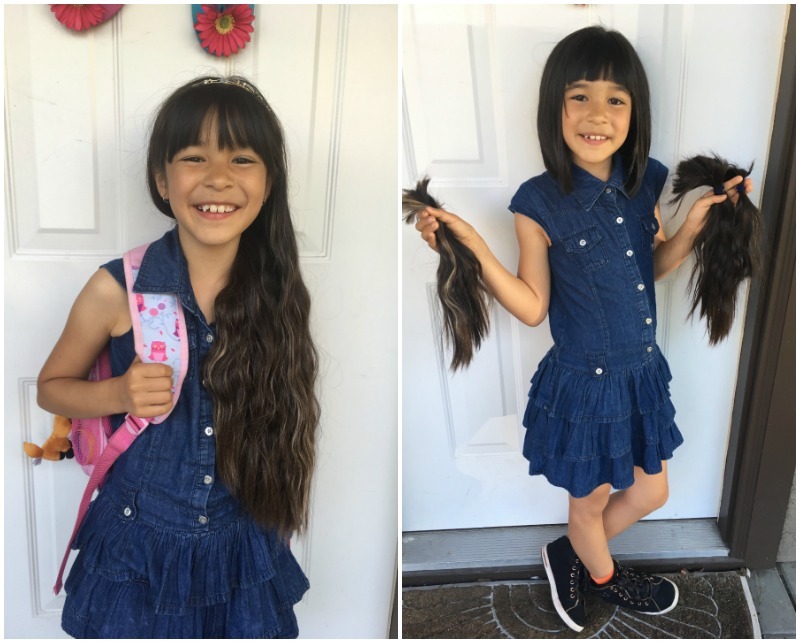 She has gorgeous hair and I’m so proud of her for doing this selfless act! Plus she looks younger again… which I kind of love. Mama got her hair chopped too! 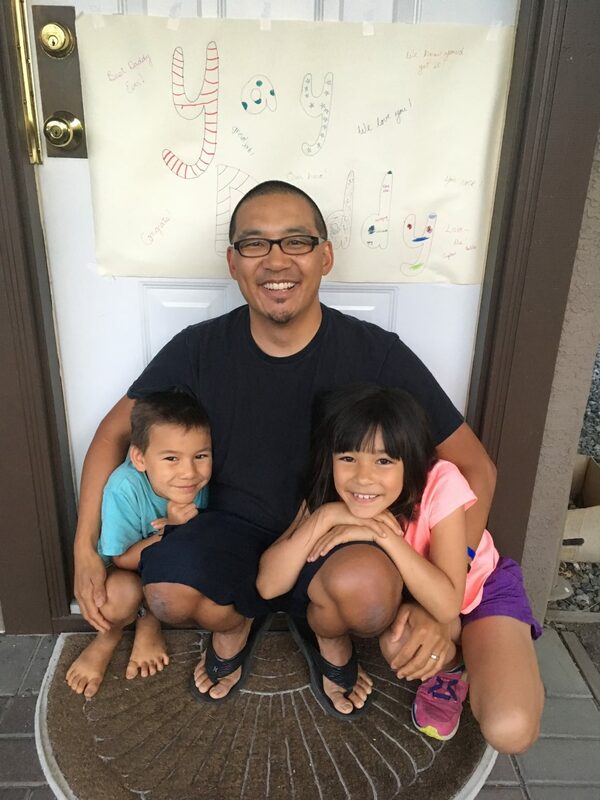 Favorite Hubby Memory: The Hubs got a job promotion this month, which we were all super proud of him for. He started his new position today! Yay hubby! He’s still working with the same company, but out of a different location and with more responsibility. It’s such a good move for him. The Ship Beyond Time (sequel to The Girl From Everywhere which I read last summer). Summer fun playlists on Apple Music (So excited to have a car that I can listen to music from my iphone on…see next category)!!! 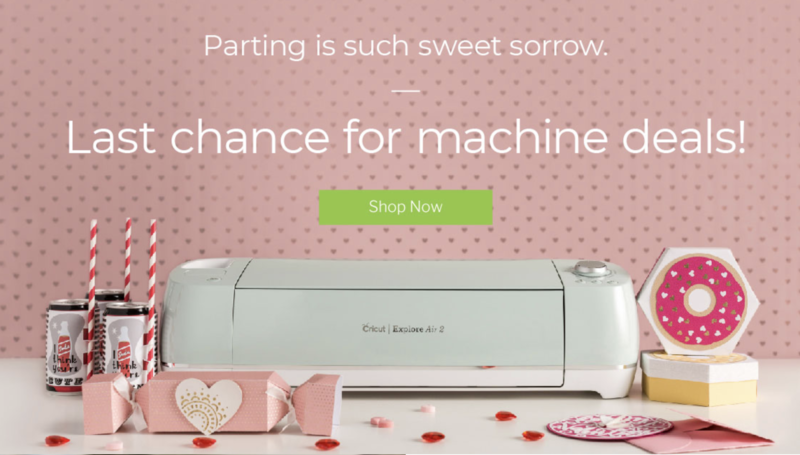 Looking forward to: Disneyland and playing with the new Cricut Maker! 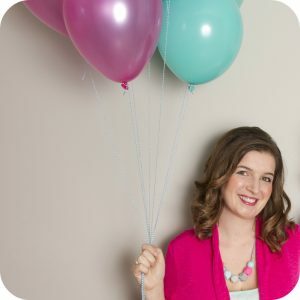 Favorite Quote: “A candle doesn’t lose anything by lighting other candles.” Quote from Rachel Hollis Dais Podcast with Jen Hatmaker on female entrepreneurs trying to build up other females! Goals for August: Put myself out there more, finish new office/video space and start shooting videos and regular Facebook Lives! 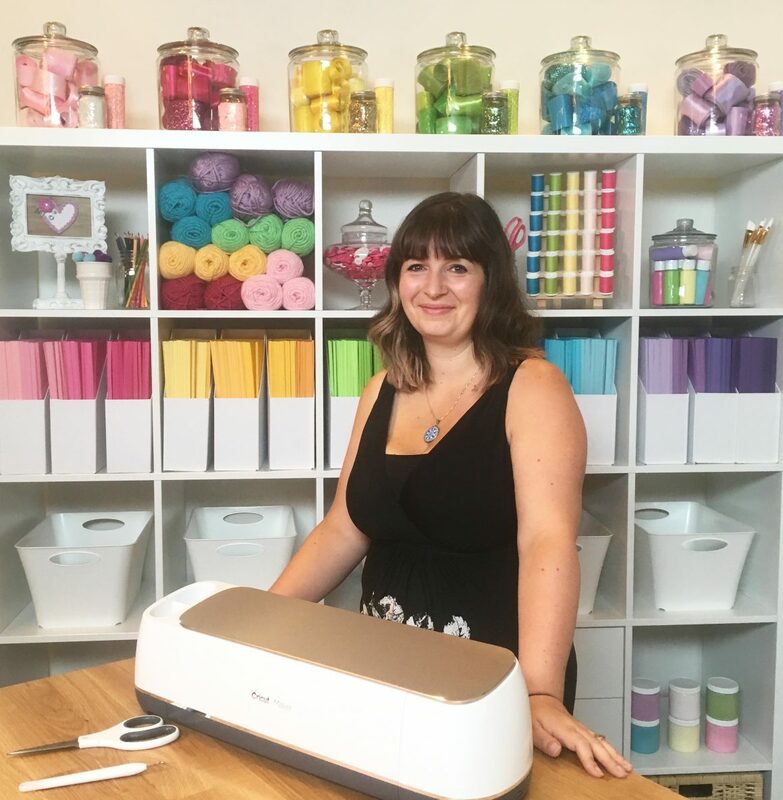 This photo was taken by my friend Brooke from Brooklyn Berry Designs a week ago at the Cricut Mountain Make-athon. She told me that she thought we should go to the set where we had been doing our Facebook Live events and do a mini photo shoot to get photos of each of us in the space. I didn’t want to do it, but decided to go for it. Something that Brooke didn’t know– Every single photo that I have shared of myself for almost a year has been a selfie. Taking selfies lets me position my head and body at just the right angle so that I feel ok about myself. Brooke took this photo. I felt so uncomfortable during the whole thing… but I’m so glad I did it. I put myself out there a bit and it’s a memory I’m going to love looking back at. I want to do that more. Tell me… could you relate to anything in this post? What is something you’d love to tackle in your life? What should I name this monthly series? 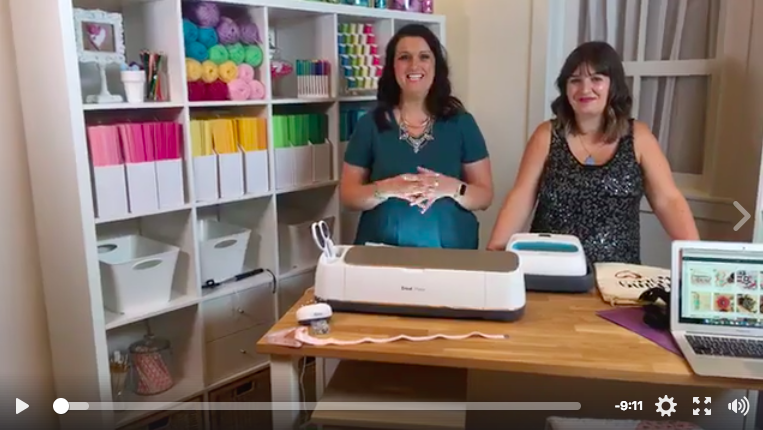 PS Want to see my first Facebook live video with Lydia from Lydi Out Loud, showing Cricut’s new products from their product launch? See it here! 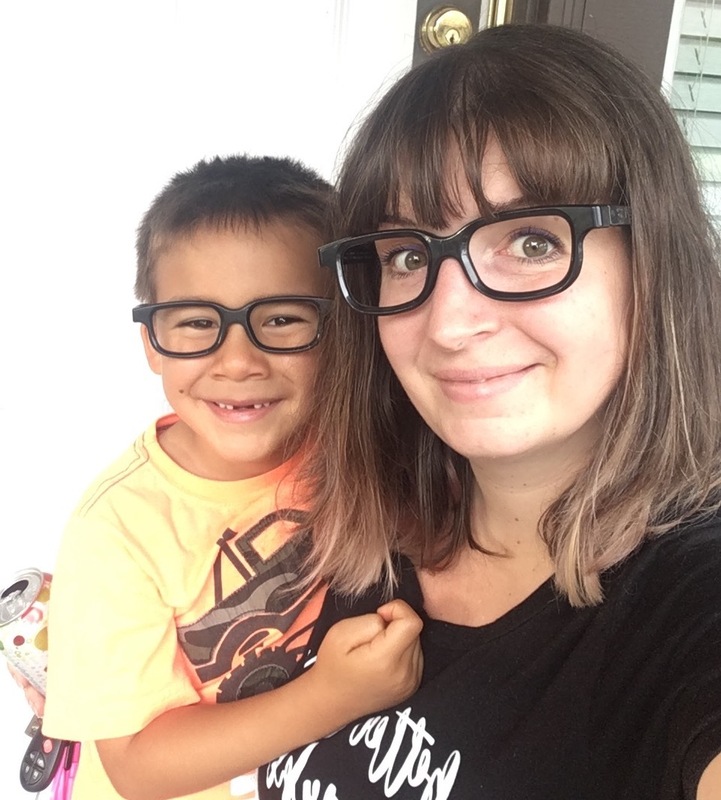 « Today’s Parent Challenged Us To A $50 Back To School Shopping Spree at Value Village! Sky I’m sorry this took me so long to respond to. I was honestly overwhelmed with all of the support here on facebook and every time I would read the comments I would start to cry. Thank you for your comment. Though it went unresponded to for too long, please know that I read it, appreciated it and that it’s been sitting with me all this time. I love this post! It takes a lot of strength to be vulnerable in front of people. I did it recently with a group I was training, and it was scary but at the same time it made me more approachable. They felt that if I did the same things they did and I made it through, they can too (it was about dealing with difficult patients). I’m proud of you for putting your feelings out here for all of us to empathize and share with you. And I think it’s an awesome idea to share highlights of the month. I’m going to read them along with your mom!! Thank you so much Myra. I have always appreciated your support. I think being able to be vulnerable in front of others is such a beautiful thing. I’m sure that the people in your group felt that way too. I’m glad you will be reading. Any ideas on a series name? What a beautiful post and a reminder that so many of us need. Thank you! Thank you so much Carol for reading and for taking the time to comment. It’s people like you who inspire me to do what I do. You are so appreciated. Thank you for sharing what so many of us go through, and few of us put out there and share publicly. I have struggled with my weight my entire life and have been told from a young age that I don’t look as good as I should, and it’s stayed with me my entire life to not be proud of the body I have. It was only into my 40s when I started realizing that I gave life, and I am strong and proud. Whether my body has extra fat on it or not doesn’t really matter in the long run because the person I am inside has so much to offer and once I started believing that I started believing I’m beautiful. I hope that you can get there too because you are nothing but deserving of the best feelings for yourself, and they will spill out to everyone around you including your family. I’m really proud of you. Leeann I adore you! Thank you for sharing your story with me. I know that there are so many of us that feel that way and it gives me hope that you were able to get past it. 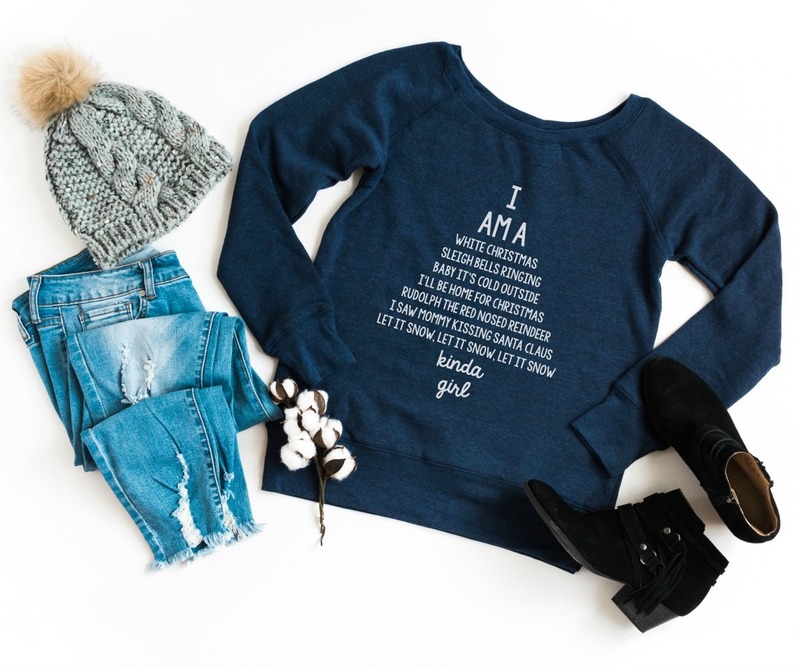 You are a beautiful person inside and out! What a beautiful and honest post. It sounds like you have done a lot to instill in your daughter the idea that beauty has nothing to do with size. Try not to be hard on yourself for having an honest moment in front of her — that’s a teaching moment too! It sounds like the situation was a good moment for both of you, and that it had a positive impact on you.